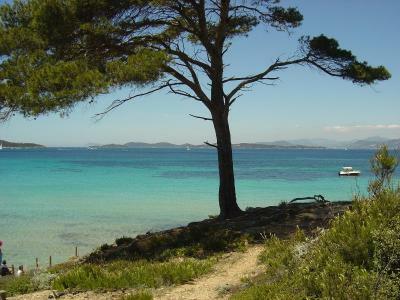 Lock in a great price for ibis Golfe de Saint-Tropez - rated 8.2 by recent guests. 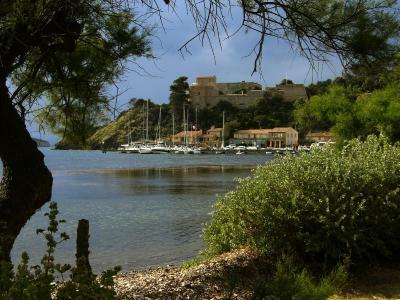 Great value for money in the Bay of St Tropez area. Very friendly staff and clean hotel all around. Room was silent, including the AC. Breakfast was a rather complete continental breakfast with fresh croissants/pain au chocolate provided even after formal breakfast hours closed. 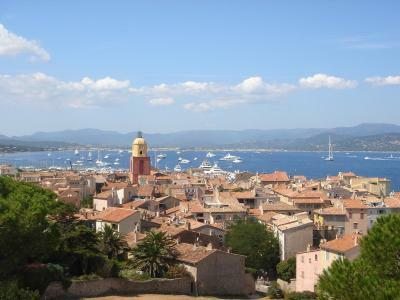 10 min drive to Port Grimaud (where one should take the bateaux verts to St Tropez instead of joining the congested roads to St Tropez itself) and 1 minute drive to cheap gas station. Would stay again. The bed was amazing, slept on a cloud. Staff is friendly. Value for money near St Tropez (which is pricey). Great staff and efficient process. Secure parking. 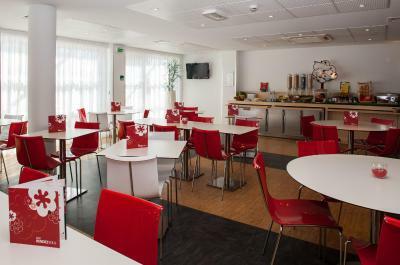 Typical IBIS rooms. The hotel has a good standard with a very good breakfast! Nce and friendly staff. Nice rooms, quiet place, swimming pool, helpful staff. Decent breakfast and a rather comfortable bed. Friendly staff members! 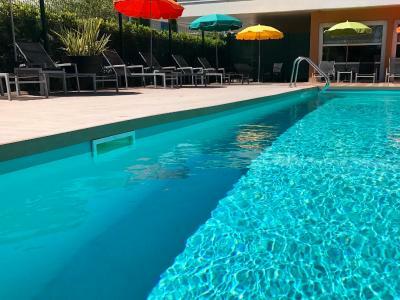 One of our top picks in Cogolin.The ibis Cogolin Golfe de Saint-Tropez is a 3-minute walk from the shops and restaurants of Cogolin village and just 6.2 miles from the famous village of Saint-Tropez. 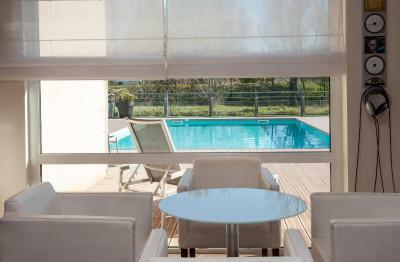 It offers an outdoor pool with a furnished terrace, and a free secure car park. Each air-conditioned room has modern décor and is equipped with a flat-screen TV and a desk. The private bathroom is fitted with a shower and includes a hairdryer. 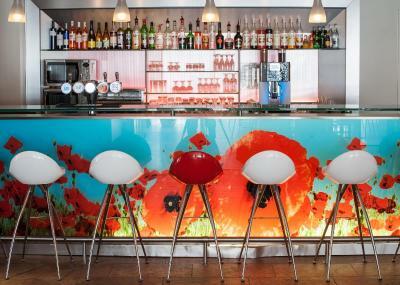 You can enjoy a drink and a snack menu from the contemporary bar that is open 24 hours a day. Free Wi-Fi access is available throughout the hotel. There is a 24-hour front desk service and all rooms are serviced by a lift. 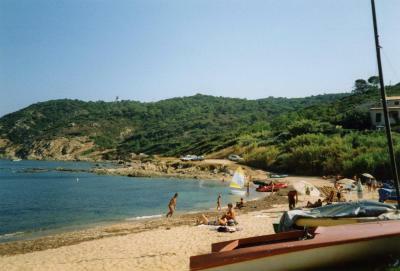 Less than 6.2 miles from the hotel you can visit the local vineyards, see the quaint villages of Gassin and Grimaud, and enjoy beaches along the Mediterranean Sea. 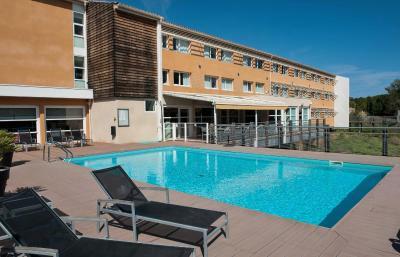 ibis Golfe de Saint-Tropez has been welcoming Booking.com guests since 28 May 2013. 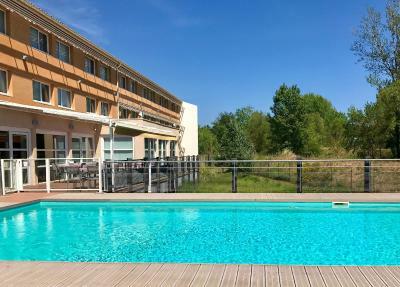 When would you like to stay at ibis Golfe de Saint-Tropez? A TV, free Wi-Fi access and air conditioning are provided in this room. The private bathroom includes a hairdryer. House rules ibis Golfe de Saint-Tropez takes special requests - add in the next step! ibis Golfe de Saint-Tropez accepts these cards and reserves the right to temporarily hold an amount prior to arrival. Frogs were ‘singing’ all night long. It was difficult to sleep. Very good breakfast. Kind staff. The room's bathroom is an small fiberglass cabin not unlike a camper home's. Feels a bit claustrophobic and quite noisy when your partner is sleeping. 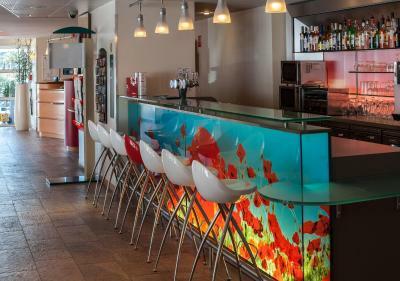 Not the hotel's fault, but note in Saint-Tropez and Cogolin areas most restaurants serve meals at limited hours, so it's important to sync with the schedule or it's just room service for you. 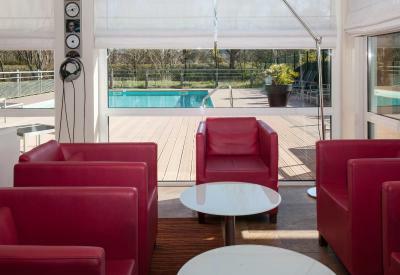 The hotel is an honest 15 minutes drive from most of Saint-Tropez. It was very easy to find, easy to park and the staff was very approachable. With room service, they mean, come and get it yourself service. Location is ugly compared to where you are. Nothing natural about the place, just a giant block of concrete. The immediate area around the hotel was not very nice. Very close to main road with much traffic.